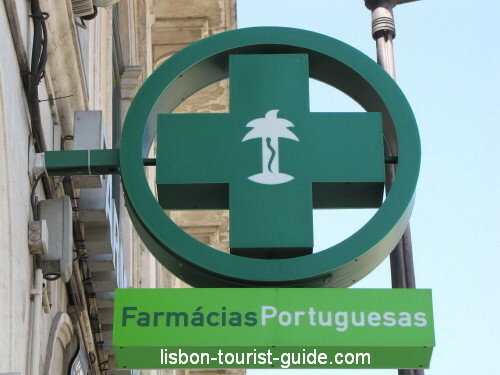 Look for a Lisbon Pharmacy if you need a medicine. Or just something to make you feel better after a long night out at Bairro Alto, Docas de Santo Amaro or Parque das Nações. As in everywhere in the world (I think! ), some medicine can only be bought with a doctor prescription. 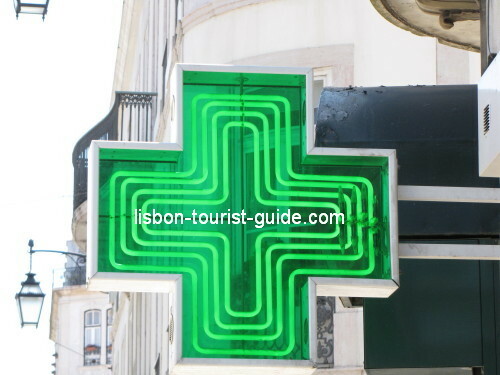 So, don't forget to read the Lisbon Hospital page to know where to go in case of need. When in doubt, you should always ask the pharmacist opinion. When you're in the street looking for a pharmacy, just look for one of these (left or right) signs. In this page I present you the pharmacies available today in our town. This information is updated daily. And to make your life easier, I put a map on this page (powered by Google Maps) so you can know where the pharmacy is. Just copy the adress of the pharmacy and paste it into the search box. There you have it. This is the street you're looking for. Go and grab your medicine.